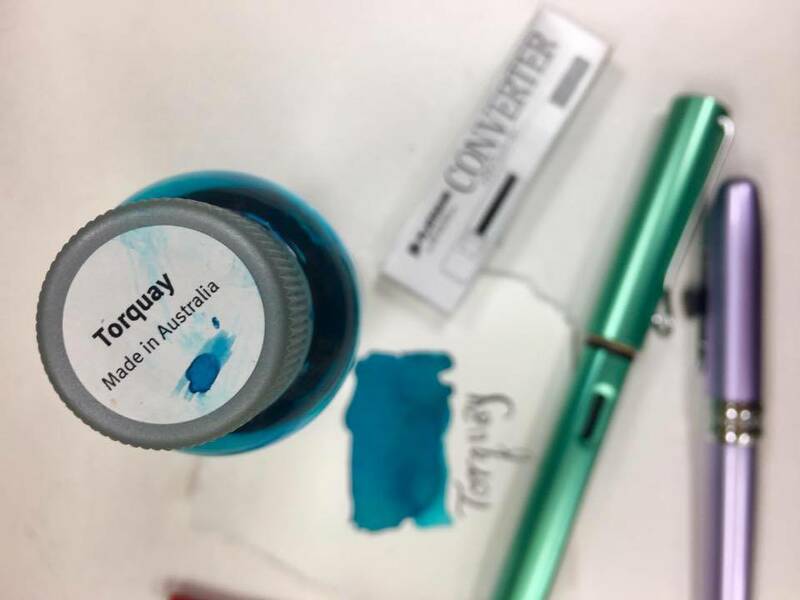 Home / Blog / Curious About Fountain Pens? Eye Dropper: When the whole body of the pen is filled with ink. This is the first model of fountain pens and is DIFFERENT from a piston converter. You need to fill the body with an eye dropper, hence the name. Piston = has a twist so you can draw the ink up directly through the nib which creates a faster writing time because the ink doesn’t have to work its way through the feed. There is no converter with this type of pen. Ink density affects the flow through the pen. The more saturated with dye the ink is, the more lubrication companies mix into the ink because dyes reduce the water content and create a reduced flow through the pen. Ex. Noodlers ink is highly pigmented, and therefore is highly lubricated. If “ITF” is on the label of the bottle it means the ink is Highly Lubricated. If you write too fast with it, skipping can occur. Fountain pen: water based inks. Select fountain pen inks are water resistant. Lamy blue is a good ink for lefties because it is fast drying! NEVER clean the pen with Kleenex because the fibres get stuck in the pen. -when starting, you will need to do this a few times so that the ink can work its way through the feed and into all the small grooves. ALWAYS flush your pen before putting new ink in.There are 75-100 cartridge refills in a bottle of ink. Flush with water. If you are worried about minerals getting trapped in the pen, use distilled water, but this is not necessary. -Changing the ink colour completely is a longer process. You should flush your pen thoroughly multiple times and leave to dry for at least a week. Flossing the nib: small sheets of brass to put in between the nibs to release built up ink. Be gentle! We hope this information was helpful and happy shopping!